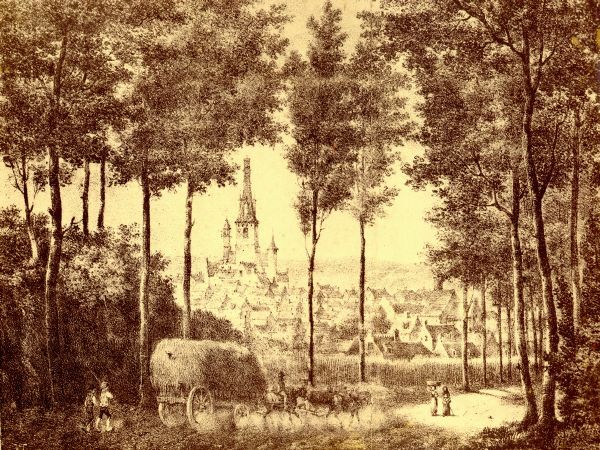 In the Middle Ages Nivelles was a fortified town surrounded by a powerful 2.5 metre wide rampart, with a deep, partially-flooded encircling ditch outside, and a sloping bank of earth extending to 8 metres inside. 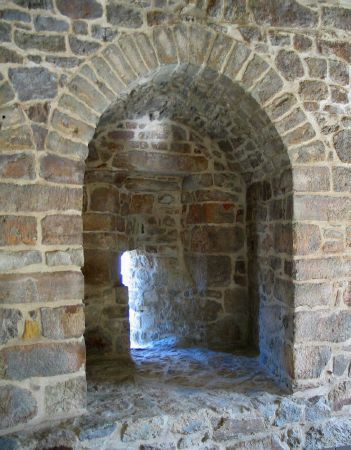 Entrance and exit to and from the town could only be effected through one of the seven fortified gateways which were guarded and closed at night. 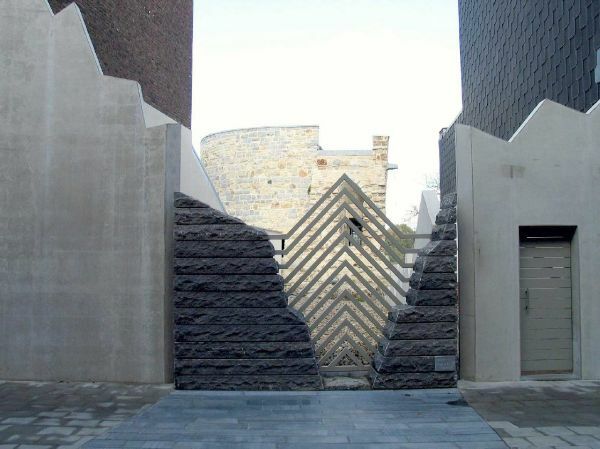 At least nine towers jutted out from the walls, each pierced with narrow slits which enabled the guards inside to survey the ditches and menace any assailant who dared approach. 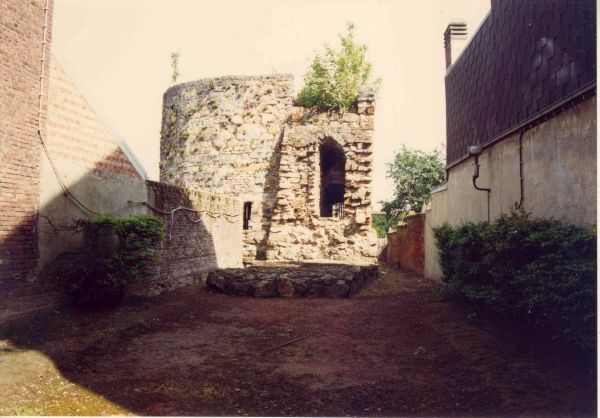 The Simone Tower is the sole survivor of the nine, the once-protective ramparts having been dismantled in the 19th century when they proved an obstacle to the town's expansion. 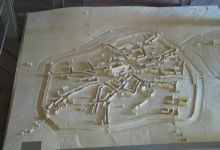 The ditches were filled in and today's boulevards established on their site. There are few traces now of the town's walls, and what remains is fragmentary and often concealed at the bottom of gardens. 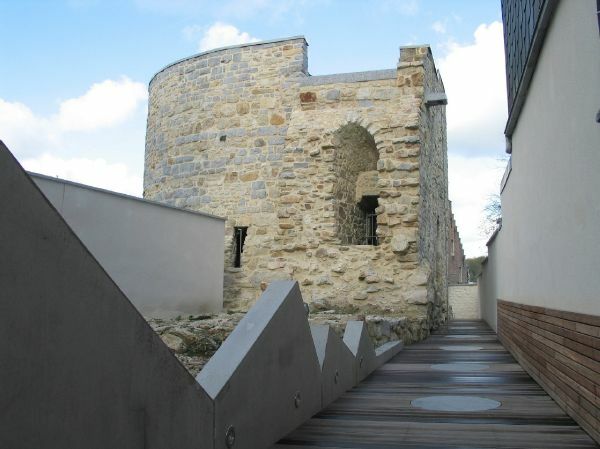 The Simone Tower alone can give us an idea of how the old fortification looked. For this reason it was listed as a monument in 1950, and acquired by the town in 1958. An initial phase of restoration revealed the essential features of the edifice, constructed, we assume, in the 13th century and subsequently transformed: a building 8 metres high containing a semi-circularentrance of the tower, vaulted chamber whose curved walls are pierced by 5 slits, initially for arrows and later widened for canon. 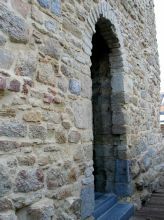 On the town side, the chamber was originally open, the large, arched bay being subsequently walled and a door inserted. 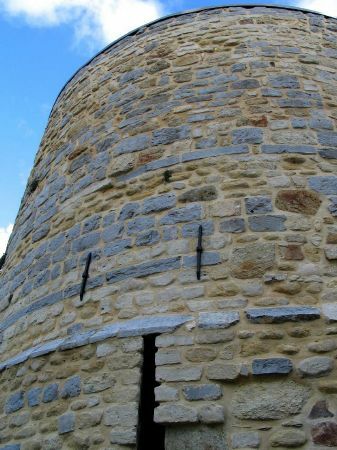 At each side, a staircase permitted access to the walkway atop the curtain walls of which a few traces of foundation remain visible at the foot of the tower. 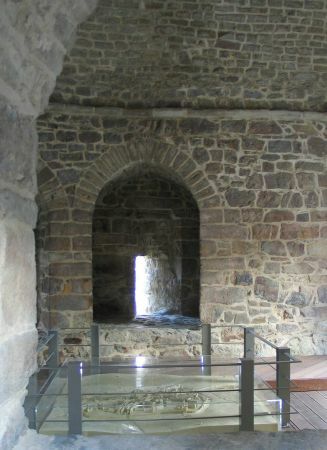 2005-6 saw a second phase of restoration, and the tower chamber now houses a 3 -dimensional map of the town as it was in the 16th century, a visual-aid which enables visitors to picture the mediaeval town and its layout of streets and churches surrounded by walls, ditches, towers and gates.